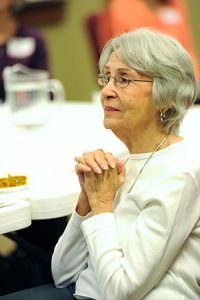 In 1999, two women began meeting on a weekly basis to pray and L.I.P.S. (Ladies In Prayer and Supplication) was formed. Ladies’ Prayer Group has grown and is a vital function of the prayer ministry of Lake Country Bible Church. Each Wednesday morning at 8:15 AM women meet in the Conference Room in the church office to pray for personal needs, our country, our church and others.